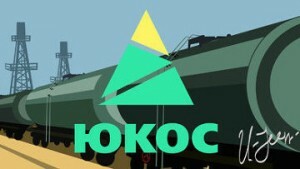 When The Hague District Court annulled the Yukos awards on 20 April 2016 for a lack of a valid arbitration agreement, it did not consider it necessary to rule on the other grounds raised by the Russian Federation, in particular the argument that the Tribunal failed to personally fulfill its duty because of the alleged significant influence of the Arbitral Tribunal Assistant over the Arbitral Tribunal’s decision. While the Chairman had initially declared that the duty of the Arbitral Tribunal Assistant would be to “assist [the Chairman] in the conduct of the case”, provide administrative assistance and exercise liaison duties, the Russian Federation’s argument was that substantive responsibilities were delegated to the Arbitral Tribunal Assistant in breach of the Tribunal’s obligation to perform its duties personally. The Russian Federation supported its claim by arguing that the 3,000 hours that the Arbitral Tribunal Assistant spent on the case cannot be justified by his administrative and logistical role, in particular as two staff members of the PCA had already spent over 5,000 hours on the proceedings. Further, the Russian Federation argued that the Tribunal’s refusal to elaborate on the role of the assistant to protect the confidentiality of the Tribunal’s deliberations is an admission that the assistant participated in the deliberations. Given the complexity of arbitration cases, the abundance of communications, and the lack of logistical support inherent to the practice of arbitration, the use of assistants and secretaries by arbitral tribunals is a widespread practice within the community of international arbitrators in both international commercial and investor-state arbitrations. Many institutional rules have explicitly provided for the use of administrative secretaries and assistants. One the one hand, there is a broad international consensus that the duties of the Arbitral Tribunal Assistant only include administrative and logistical tasks as an arbitrator’s mission is intuitu personae and, as such, may not be delegated. Unlike judges, arbitrators may select their cases and are able to refuse an appointment if they lack the time and resources to complete their mission adequately. On the other hand, one may denounce the hypocrisy of a party’s acceptance, as the Arbitral Tribunal Assistant, of a senior associate (now senior partner) of an international law firm specialized in international arbitration proceedings, only to raise in the setting aside proceedings the strong possibility of his involvement in substantive matters related to the case. May this party allege, in bona fide, that it did not expect the Arbitral Tribunal Assistant to inform the Tribunal as to the substance of the case or to help digest the arguments or evidence submitted? The Hague District Court failed to rule on the Russian Federation’s argument on the role of the Arbitral Tribunal Assistant. Other courts, which are not obliged to follow its ruling in accordance with Article V of the New York Convention of 1958, may choose to discuss this issue in further setting aside proceedings. Different legal cultures will almost certainly have different opinions on the proper role of Arbitral Tribunal Assistants, but a ruling on this issue would appear to be timely.